Packed with comforting, easy-to-make and totally delicious recipes, Feed Me Vegan shows you can be vegan and still have your cake (and mac and cheese, and lasagne, and pancakes) and eat it. Passionate vegan Lucy Watson has you covered with tempting meals from breakfast to supper - as well as all the sweet treats and snacks you need in between! Enough to turn the head of even the most dedicated carnivore, Feed Me Vegan is full of tasty, satisfying vegan fare which will have everyone asking for seconds. 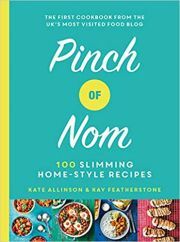 Whether you're already a full-time vegan, considering making the switch or just trying to cut down on meats, fish and dairy, this book is sure to add new favourite recipes to your repertoire.